The perfect mobile wash system that can be used anytime, anywhere, and in any weather. 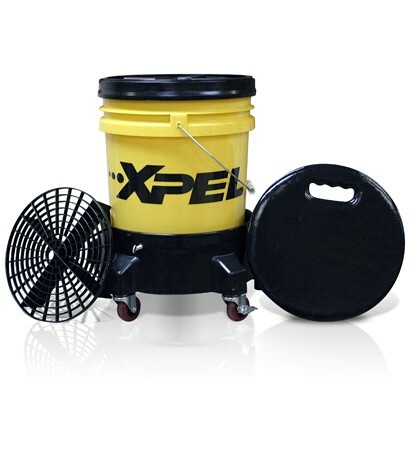 XPEL 5 gallon grit shield wash bucket extracts the dirt from your wash mitt and traps it beneath a protective grille. This prevents dirt from being picked up and rubbed back onto the paint. Add to that the utility of its heavy-duty casters and air tight seal, and you have the perfect mobile wash system that can be used anytime, anywhere, and in any weather.